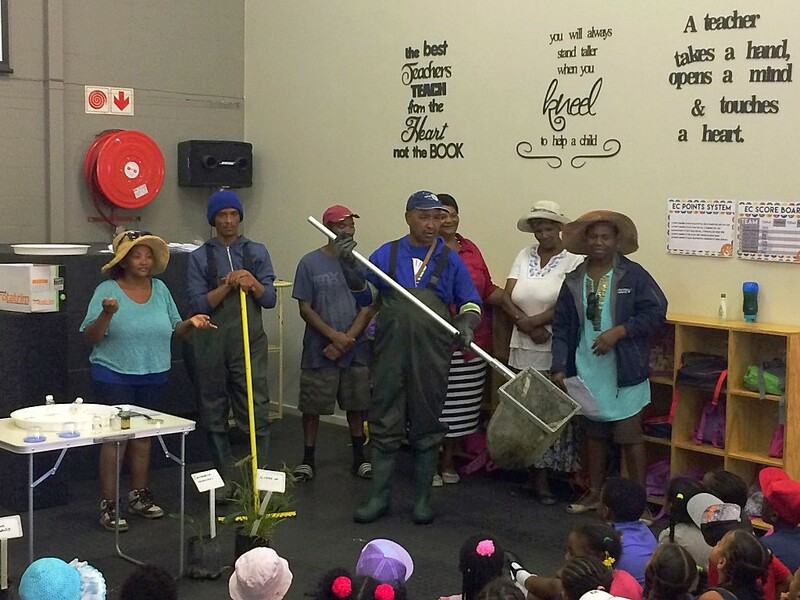 The Mosselbank River Conservation Team (MRCT) teamed up with Won Life to celebrate World Wetlands Day on Friday 2 February 2018. 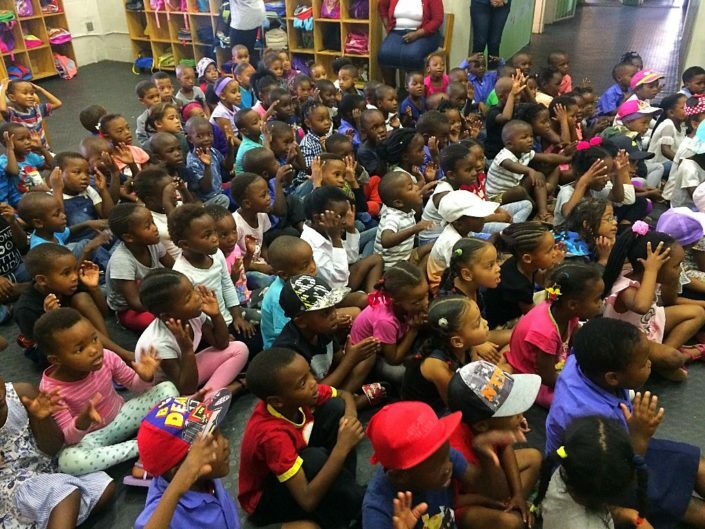 Won Life is a registered NPO working in the community of Fisantekraal delivering services in the areas of health and education. The MRCT had planned fun outdoor activities along the Mosselbank including a miniSASS for the 120 Grade R learners who attend Won Life’s Early Learning Centre, an independent registered pre-school in Fisantekraal. However, unfortunately for the programme but gratefully so for Cape Town, it rained and they had to move the event indoors. The photos below show Gert Krooi (dressed in waders and holding a net) with his fellow MRCT members in the Won Life school hall demonstrating how miniSASS works, and passing around samples of invertebrates (bugs without a backbone) for the excited learners to see. Samples such as these, which were taken from the Mosselbank earlier in the day, are used in miniSASS to score the quality of water in a river and guide rehabilitation of the river system. One of the CTEET Small Grants Recipients, The MRCT is a volunteer group of residents from Greenville Garden City in Fisantekraal who are environmental champions in their community. They organise community clean-ups every second Saturday of the month, and host various educational events and activities throughout the year. One of their aims is to inspire their fellow community members to value the local river system and take action to keep it healthy. For more information or to partner with the MRCT please contact Danielle Sterrenberg on danielle@gcinc.co.za, or Andrew Bennett on andrew@icologie.com.